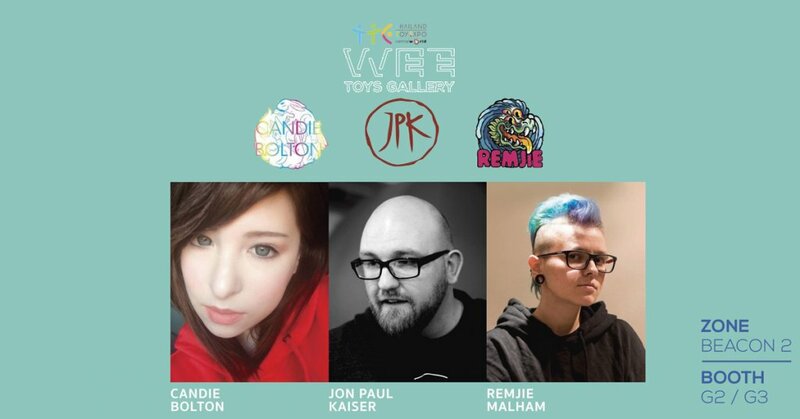 Our TTC Artist Spotlight Artist, Remjie Malham is ready for to take on Thailand Toy Expo 2018 joining Weetoy Gallery with Candie Bolton and JPK. Bring along with her is a whole range of customs that will make your wallets cry but also brighten up your collection. 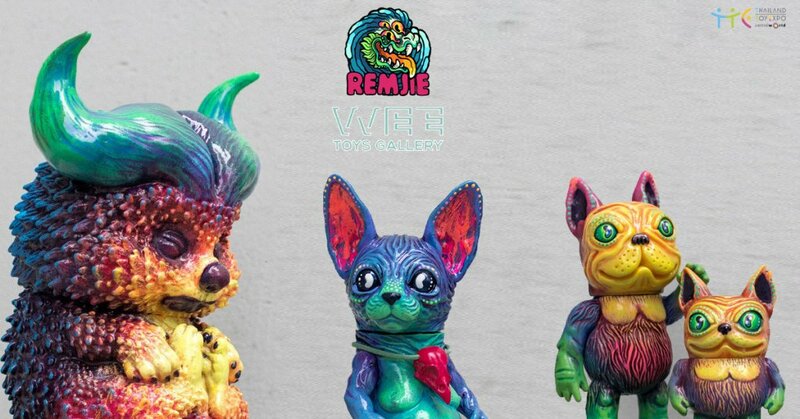 Remjie has packed various custom platforms from across the globe like Redhotstyle and Sleepwaker Nimbus just to name a couple. All of these toys are one-off and will be for sale via lucky draw at Weetoysgallery booth. MORE! Erosion Molly one-off By Remjie Malham. She will be available at TTE via auction. Sofvi color, Gouache acrylics, gold leaf, urethane varnish with pearl pigment. Erosion Molly by Kenny Wong x Instinctoy. Expect more reveals in the next few days. Stay tuned. Wee Toy Gallery booth number G2-3 get your selfie sticks ready.